There are 10 desktop wallpapers listed below. The files are sorted by number of comments posted, beginning with the most talked about content. You can join the discussion by clicking on the "Add Comments" link next to any wallpaper. 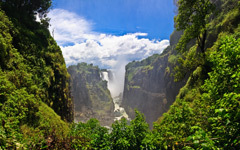 I took this picture of the beautiful Victoria Falls on my recent visit in November 2009. The photo is taken from the Devil's cataract in direction of the Main Falls. The water at that time of the year is at it's lowest compared to the rest of the year. However the green vegetation around, the many thousands of litres of water storming down into the valley and the sound of twittering birds around you makes this a location worth visiting any time of the year. Canon EOS 40D, Tamron 17-50mm f/2.8, ISO 100, 1/125 sec., 17mm, f/10. Post-processing in Adobe Lightroom 2, finishing touches in Adobe Photoshop CS4. 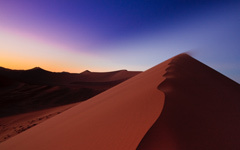 This photo tells the story behind my shot of the sunrise on top of Dune45 in the Namib, the world's oldest desert. The wind constantly blows the sand over the edge of the dune, giving it its unique shape and keeping it in place. 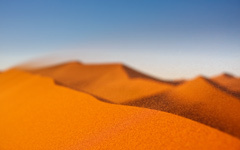 The wind blows equally often and strong from West and East, making the dune itself immovable. I was thrilled by the thought of how many millions of grains of sand are blown over the edge of this and all the other dunes in the desert every second. This photo captures a few of them in flight. Canon EOS 40D, Tamron 17-50mm f/2.8, ISO 100, 1/640 second, 43mm, f/3.5. Post-processing in Adobe Lightroom 2. Finishing touches in Adobe Photoshop CS4. 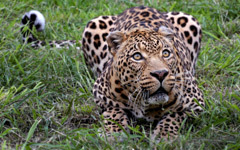 Within the boundaries of Etosha Nationalpark in Northern Namibia there are three campsites. The biggest of them beeing "Okaukuejo", located at a big waterhole with the same name. I spent the first night of my recent visit last November sitting at the waterhole, watching different animals drink and interact. 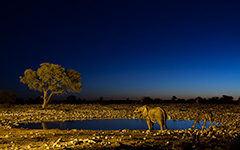 But not only the animals but also the scenery of the waterhole itself, changing colors during the sunset was amazing. That's when I took this picture of an elephant and a giraffe drinking right next to each other at the waterhole. Canon EOS 40D, Tamron 17-50mm f/2.8, ISO 800, 1.3 sec., 33mm, f/4. Post-processing in Adobe Lightroom 2, finishing touches in Adobe Photoshop CS4. I took this picture on my recent trip through Southern Africa. We went to climb up the famous Dune 45 close to Sossusvlei in the Namib Desert at about half past five to see the sunrise from the dune. 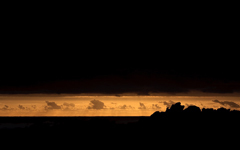 This picture is taken just before the Sun appeared over the horizon. The colours were amazing and the untouched dune before me was truly magical. Canon EOS 40D with Tamron 17-50mm 2.8. RAW file developed in Adobe Lightroom 2 and Adobe Photoshop CS4. 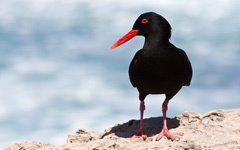 The African Black Oystercatcher is a resident breeder on the rocky coasts and islands of southern Africa. Sadly, there are currently less than 9,000 adult birds of this species, so it is highly endangered. However, it is easy to spot along the coasts of South Africa. I was lucky to get so close to an adult couple and took quite a few shots of them in De Hoop Nature Reserve. This shot is my favourite. I simply love the contrast between the red of the bill and eye, the black of the plumage and the blue of the ocean. Canon EOS 40D, Canon 70-200mm f/4, ISO 100, 1/800 sec., 200mm, f/6.3. Post-processing in Adobe Lightroom 2, finishing touches in Adobe Photoshop CS4. 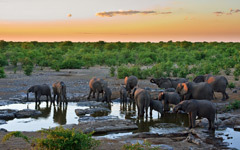 The second camp in Etosha, Halali, is located next to the Moringa waterhole. I spent my second night in Etosha staying at this camp and watching the waterhole for most of the day. When the Sun began to sink behind the horizon I watched this matriarchal group of elephants drinking at the waterhole. While observing the animals we also had an amazing sunset with an orange so saturated - I never saw anything like it before. Just after the elephants had gone we saw a small group of black rhino drinking and also had some hyena and a leopard later that night. This is a magical place! Canon EOS 40D, Tamron 17-50mm f/2.8, ISO 400, 1/80 sec., 40mm, f/5.6. Post-processing in Adobe Lightroom 2, finishing touches in Adobe Photoshop CS4. 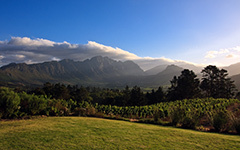 I was lucky to have this great view over the mountains of Franschhoek valley in Western Cape, South Africa. When the last sun rays gave the valley its warm colours I took this photo. Canon EOS 40D, Tamron 17-50mm f/2.8, ISO 100, 1/200 sec., 17mm, f/9. Post-processing in Adobe Lightroom 2 with finishing touches in Adobe Photoshop CS4. Now here you go with a bit of a different "macro" photo. I got a lot of inspiration last week from old cross-processing techniques and went a bit crazy with my f/1.4 lens and different post-processing approaches. However, I really love this shot as a wallpaper. 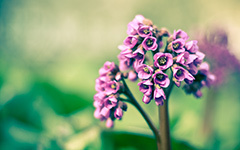 The bokeh is just amazing and there is still so much detail in the flower despite f/1.8. Hope you enjoy it! Canon EOS 40D, Canon 50mm f/1.4, ISO 100, 1/500 sec., 50mm, f/1.8. Post-processing in Adobe Lightroom 2 with finishing touches in Adobe Photoshop CS4.